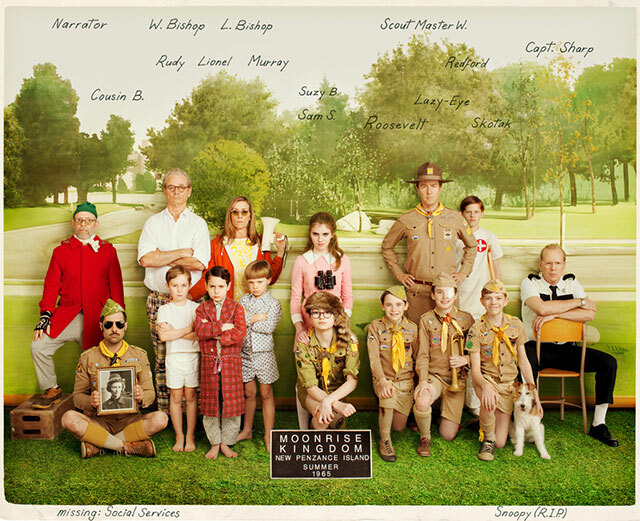 Set in a small American island community in the mid 1960s, Moonrise Kingdom is a typical quirky Wes Anderson film with a theme of complex broken interpersonal relationships in common with several of his other films. If at all possible avoid seeing the trailer/shorts for this film as I feel the brief snapshots of the story shown do not adequately convey what makes it appealing. When young boy Jared Gilman (Sam) and girl Kara Hayward (Suzy) meet during the practice for a school play, they immediately realise during an exchange of enigmatic stares, that they’ve found a kindred spirit. The result of this chance encounter is that the children correspond with each other exchanging stories of their troubled family backgrounds by letter, fall in love and decide to run away together. The lead actors play their parts with grave seriousness beyond their years. Also as youngsters they are easier to sympathise with than some other Anderson films where the main protagonists have made so many mistakes through life that they seem beyond redemption. The adult actors Bruce Willis (sad middle aged local policeman), Edward Norton (hapless Khaki Scout troop leader) and the girl’s parents Bill Murray and Frances McDormand (both lawyers) initially stand in the way of the young lovers. Will they have a change of heart as a gathering storm batters the island with torrents of rain? 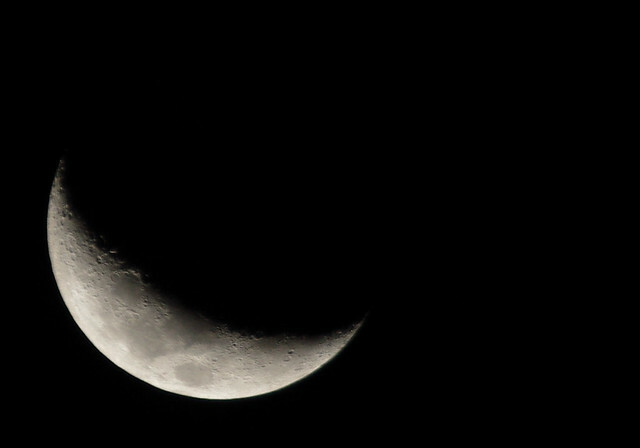 After watching this preview screening of Moonrise Kingdom I walked home and felt compelled to take a photo of the current Waxing Crescent Moon, as it would be seen if there were runaway young lovers staring at the sky tonight. “Wes Anderson makes films about small worlds in which big things happen: love, heartbreak, calamities, death. In his latest, the wondrous storybook tale ‘Moonrise Kingdom’, a girl and a boy, both 12, run off to a remote inlet on an island where most of the adults seem disappointed and more than a little sad” – New York Times.